Today, we are traveling from Kennesaw, GA to Clemson, SC to watch the solar eclipse with Cobb County Students. 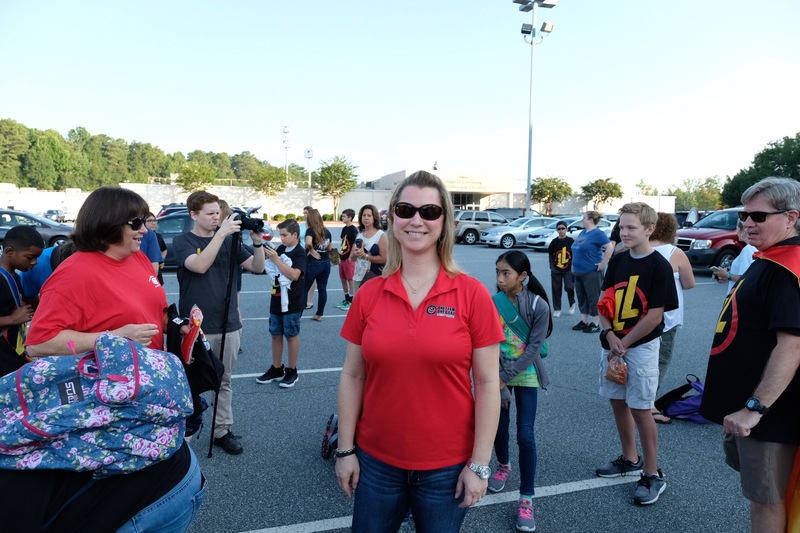 This fantastic Legends of Learning journey is possible thanks to Dr. Sally Creel, a key member of the STEM & Innovation team in the Cobb Division of Teaching & Learning. We look forward to watching the eclipse with Sally. In fact, here she is with her students in front of the bus driving us up there today! You can follow our progress on our solar eclipse live blog. In addition to working with us on the solar eclipse effort, Sally has been a valuable member of the larger Legends of Learning community, helping us shape the product for districts and individual schools. So a special shout out to Dr. Sally Creel — thank you! We feel lucky to experience just a small bit of the brilliance that you bring to your Cobb County schools, educators, and students. Caitlin Unterman, one of our most active ambassadors in the Legends of Learning community, offered two new resources for those looking to find solar eclipse content. 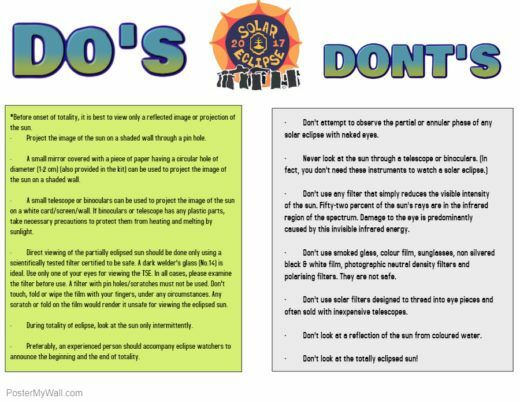 She offered a NASA YouTube video for the kids, and made a poster of Dos and Dont’s for students. These two new resources complement the Legends of Learning solar eclipse lesson plan, the two free games on our public Alpha Games site, the additional eclipse games in our “Eclipses and Seasons” learning objective, and another 16 public eclipse resources available on this blog. Interested parties can sign up to become an ambassador on the Alpha Games page. Thank you, Caitlin, for sharing these resources with us. We admire all of the great work you do to help science students at Forest Middle School, and across the country. This is a copy of a news release issued this week. Marietta, Ga.—August 1, 2017—Middle school students from the Cobb County School District in Georgia will be taking the field trip of a lifetime. On August 21, 40 students will join Legends of Learning on a field trip to Clemson, S.C., where they will watch the total solar eclipse from one of the most optimal places in the country. Two students from each participating Cobb County middle school will be selected to take part in this field trip. Students will play Legends of Learning eclipse games on the ride to Clemson, where they will watch the total solar eclipse. Students, educators, families, and people across the United States will be watching the total solar eclipse, when the sun will completely disappear behind the moon. The eclipse will darken skies from Oregon to South Carolina, an extremely rare event; in some locations on Earth it occurs as infrequently as every 1,000 years. To prepare students and interested parties, Legends of Learning, an innovative game-based learning platform, made two of its most popular eclipse-related curricula games available, “Walter’s Travels” and “Bubble Eclipse” on https://www.legendsoflearning.com/alphagames/. Like all Legends of Learning games, the games engage middle school students studying science with standards-based curriculum content. Legends of Learning teachers can access additional eclipse games via the Earth and Space Sciences “Eclipses and Seasons” learning objective. In addition to the games, Legends of Learning has created a solar eclipse lesson plan for its Eclipses and Seasons learning objective. The platform also has available a curated resource with additional educational tools for teachers. These materials are available at www.legendsoflearning.com/solar-eclipse. American children need new education heroes, teachers dedicated to using new, engaging methods to teach curriculum. 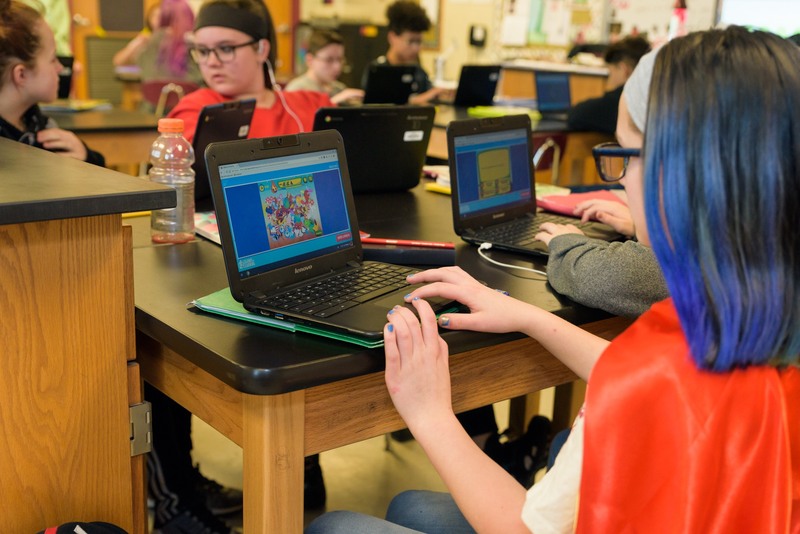 Legends of Learning helps educators make their classrooms fun, engaging, and productive learning environments through research-driven, curriculum-based games. We use ongoing original research to create a learning game platform filled with an epic range of lessons for stronger subject mastery and classroom engagement. All games are based on state curriculum standards. Teachers can don their capes with Legends of Learning at legendsoflearning.com. The Cobb County School District is the second largest school system in Georgia and the 23rd largest in the nation. It serves 113,000 students and 114 schools, including 67 elementary schools, 25 middle schools, 16 high schools, two charter schools, one special education center, one adult education center and one performance learning center. Our vision is One Team, One Goal: Student Success. On August 21, 2017, we’ll see something the country has not seen in 38 years: a total solar eclipse. The day will excite students and science teachers alike. The below resources introduce students to eclipses, both lunar and solar, and prepare them for the solar eclipse. These 16 resources compliment the Legends of Learning series of eclipse games and lesson plan that can be found in the Eclipses and Seasons Learning Objective. Legends of Learning published a lesson plan for this Learning Objective, too, and on July 10 will offer two of its games — “Walter’s Travels” and “Bubble Eclipse” — publicly on its Alpha Games page as a public service. Educational Materials and Videos from the American Astronomical Society (AAS). When you ask for standards-based materials about eclipses, you get them from the AAS. The organization’s website contains all sorts of supplementary content, including an NGSS storytelling approach to classroom instruction. Total Solar Eclipse 2017. Besides the AAS, start your search for solar eclipse resources with a sure bet—NASA. The site offers classroom activities, downloadables, and information about becoming a Citizen Explorer. Take a look at the events drop-down, too; it includes NASA’s livestream and information about hosting a total solar eclipse event in your community. 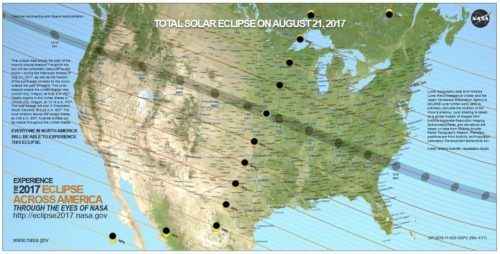 NASA’s Extremely Accurate Map for August’s Total Solar Eclipse. Use this tool to combine geography and science. Students can use the tool to identify the best states for solar-eclipse watching on August 21, 2017. THE GREAT AMERICAN ECLIPSE. With this resource, your classroom can watch the total solar eclipse in real time. Discover’s Science Channel will cover the eclipse as it happens, then follow up with a one-hour special during primetime. Total Solar Eclipse Animation. Prepare students for the eclipse launch date with PBS NOVA’s animation. For additional classroom resources, check out PBS’ toolkit, webinar, and videos. Build a Sun Funnel. Spend the first few weeks of August with a collaborative science project, the Sun Funnel. While inexpensive, the funnel takes some time and expertise to build, so you may want to practice building one at home before introducing the project to the classroom. For simpler versions of the concept, consider using the Exploratorium’s instructions for building a pinhole camera from a UPS shipping container or SPACE’s shoebox concept. Create an Eclipse in the Classroom. Styrofoam and cardboard possess magical properties, becoming anything from molecules and atoms to planetary systems. Follow the guide to help students create Earth-Moon-Sun systems and explore how solar and lunar eclipses work. Exploring the Solar System: Solar Eclipse. This instructional tool uses an inflatable Earth to teach students three curriculum-based learning objectives. Provided by the National Informal STEM Education (NISE) Network, the tool includes resources for English- and Spanish-speaking students. How to Film or Photograph the 2017 Solar Eclipse Like a Pro. Unite the arts and sciences with SPACE’s instructions on how to film or photograph the solar eclipse. Warning: This resource features some advanced photography and film techniques, so you’ll either want to use it with advanced photography students or adapt the methods to your particular classroom. Yardstick Eclipse Activity. This classroom activity from the Astronomical Society of the Pacific (ASP) caters to the older crowd that may be less than pleased with cardboard and Styrofoam projects. You can create the activity from scratch or purchase a pre-made kit for $35.00. Eclipse Kit from NASA. With NASA’s kit, you’ll be amply prepared with activities and answers for curious students. NASA also provides a more expansive activity guide for the August 21 total solar eclipse and general eclipse lesson plans. Have you taught about lunar and solar eclipses before? What are your favorite lesson plans, activities, or resources? Share your thoughts in the comments or start a thread in the community forum. On August 21, 2017, we’ll see something the country has not seen in 38 years: a total solar eclipse. The day will be an exciting one for students and science teachers, alike. Let’s make it educational, too. People across the country are looking forward to watching the sun completely disappear behind the moon. The total solar eclipse will darken skies from Oregon to South Carolina, an extremely rare event that for some locations on earth may occur as infrequently as every 1,000 years! Legends of Learning has developed a lesson plan for the Eclipses and Seasons Learning Objective that you can use with your students. With it, we’re offering two of our games — “Walter’s Travels” and “Bubble Eclipse” — publicly on our Alpha Games page. Complete with digital edgames playlists, assessment questions, and a visual eclipse simulation, our lesson plan has everything your students need to learn about this rare phenomenon. Check it out below, or download the PDF version! NGSS Standard DCI: MS-ESS1.B-2. – This model of the solar system can explain eclipses of the sun and the moon. Earth’s spin axis is fixed in direction over the short-term but tilted relative to its orbit around the sun. The seasons are a result of that tilt and are caused by the differential intensity of sunlight on different areas of Earth across the year. Lay the flashlight on a table and place the beach ball approximately 24 inches in front of the flashlight. Turn off the lights in the room and turn on the flashlight. Holding the ping pong ball by the string, place the ping pong ball between the flashlight and the beach ball. Ask for student observations regarding where they see the light hitting the beach ball and where they see shadow. Answer: Light hitting the ping pong ball and beach ball. Small shadow on front of beach ball as well. Continue holding the ping pong ball by the string, move the ping pong ball so that it is behind the beach ball. Ask for student observations regarding where they see the light and shadow in this position. Answer: Light hitting the beach ball fully, no shadow on the beach ball. Full shadow on the ping pong ball. Have your students sign in to Legends of Learning and enter your teacher code. Launch Playlist 1 to your students. As students complete Science Fair: Eclipse and Seasons, students should fill out the Eclipses and Seasons Handout. Assist students as needed during game play, pause playlist if you need to address content or questions to entire class. 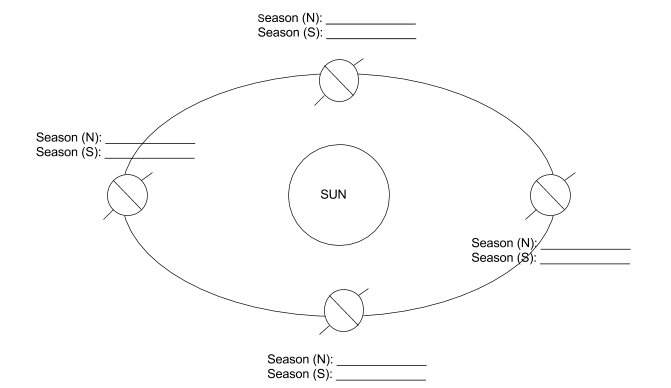 Review answers to Eclipses and Seasons Handout by drawing diagrams on board or using Smartboard. Relate student knowledge to demonstration at the beginning of class. Explain to students that although they experience seasons all the time, they are less likely to experience a lunar eclipse, and the opportunity to experience a solar eclipse is even more rare. Ask students to describe what they are seeing in the video. Answer: It is broad daylight then goes dark like nighttime, then back to broad daylight very quickly. The sun is completely blocked out for a while. Launch Playlist 2 to your students. When they finish the assessment questions, any time left is freeplay. Analyze student results to determine what concepts need to be a focus for reteaching. Directions: While playing the first game in Legends of Learning called Science Fair: Eclipse and Seasons, use what you learn to complete the diagrams and answer the questions below. Label the seasons in the Northern and Southern hemisphere at each location. Question 1: It is summer for the hemisphere that is pointing (away from, towards) the sun. Question 2: It is winter for the hemisphere that is pointing (away from, towards) the sun. Question 3: When a hemisphere is pointing towards the sun, the sun’s rays are (stronger, weaker) on that part of earth, making it (hotter, colder). Question 4: When a hemisphere is pointing away from the sun, the sun’s rays are (stronger, weaker) on that part of earth, making it (hotter, colder). Draw the location of the sun, moon, and earth during a lunar eclipse and during a solar eclipse. MAKE SURE YOU LABEL THE SUN, MOON, AND EARTH!